If you’re just as passionate about football as you are about playing slots, you’d want to check out Fugaso’s new Number One slot machine. Not only does this vibrant HD slot game have a screen full of football legends like Maradona, Pelé, and Messi, but it also gives you real value for money. Featuring a staggering 99 fixed paylines and prizes of up to 990,000 coins when playing for real money, this is a medium variance slot game that seizes your attention right from the first spin. Get more information on all of the game’s features by reading through our review or try out a free demo to check them out. Play Number One For Free! Available on computers, tablets, and smartphones, Number One can give you a chance to collect big prizes no matter your location. Apart from large base-game payouts, this slot also has three progressive jackpots to offer to you plus extras like free spins games and bonus re-spins to help you collect as much as you can without spending more. You can play the Number One slot easily even if you have never played online slots before, thanks to the game’s smart bet controls. By pressing the clear buttons on your left or right, you can pick any coin value you want but also select whether you want to bet one coin per payline or up to 10. Since the slot has a minimum fixed bet of 50 coins, the minimum you can spend per round is 0.50 credits, despite having a total of 99 paylines at your disposal. The max bet, on the other hand, is a large 250 credits. The slot has a total of 13 different symbols that can trigger prizes and all of their payouts are given in coins. But if you want to see where the paylines stretch, you will need to check out the paytable because they can’t be individually viewed while playing. Using one coin per payline while playing can get you individual prizes varying from 2 coins to a healthy 500 coins, depending on the symbol combination. But play with 10 coins through a real money casino, and you can collect max payouts of up to 5,000 coins per a five-of-a-kind sequence. One thing that’s out of the ordinary in this slot game is that any payout collected will also trigger the Multi Win bonus feature, giving you a chance to bank even more money after every prize you win. For players who want to enjoy gambling on the move, this slot machine also comes in a more compact, mobile-friendly format. 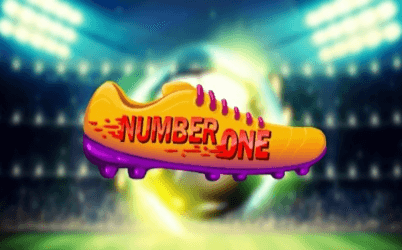 Just like almost any other slot from the studio, Number One was designed in HTML5, which means that it can be played smoothly on Android and iOS devices alike. When using a phone, you can control any part of your session with the help of the smooth touch controls, including setting up AutoPlay when you need to take a break. For players who want to enjoy gambling on the move, this slot also comes in a more compact, mobile-friendly format. Just like almost any other slot from the studio, Number One was designed in HTML5, which means that it can be played smoothly on Android and iOS devices alike. When using a phone, you can control any part of your session with the help of the smooth touch controls, including setting up AutoPlay when you need to take a break. But no matter which of the icons triggers a prize, the slot will always let you take a second shot at a bigger payout thanks to its Multi Win feature. This feature is automatically activated after any win and it gives you a bonus re-spin, during which the original winning reels stay locked while the other reels are spun. And the best part is that these re-spins will continue until no more new payouts are triggered. The Multi Win feature can likewise be triggered by three of the free spins scatter symbols, which can also activate a bonus of up to 20 free spins when five or more are collected. The free spins are played with a bonus payout multiplier of 2x but also two types of wild symbols, as opposed to the base game where only one wild symbol is present. And if you don’t get to the free spins game, the slot can still make it up to you with its three-tier progressive jackpot which can be won randomly with any bet size, at any given time. If you like medium-volatility slot games that are easy to play, entertaining and hide big cash prizes, you'll like Number One by Fugaso. Thanks to its simplicity, this slot machine is a great option for football fans who like to make those first steps into online slot playing. Play at a real money casino, and you can enjoy free spins bonuses, progressive jackpots, and payouts of up to 990,000 coins. However, given the higher hit ratio of Number One, getting your hands on any life-changing prizes could be harder than getting smaller but more frequent payouts. Thus, if you want to enjoy a just-as-enticing slot machine but with a riskier gameplay, you’d be better off with some of the high-volatility options from Fugaso. Both the Cosa Nostra and the Crazy Bot are very entertaining high-variance slots from the studio that offer the same three-tier jackpot while the Book of Tattoo also adds a sixth reel to the offer for triggering bigger six-symbol prizes. You can find even more attractive slots from Fugaso when you visit our slots page or some of our top-rated casinos where you can play both for free and for real money prizes.